You missed the special 7-day offer, but you can still take advantage of a discounted price! Your current name emits a powerful frequency, revealing how easy or difficult it is for you to manifest the gifts in your birthday and birth name. Now, for the first time, you can learn how to calculate ANY name and discover if it naturally attracts wealth, fulfillment and success - or NOT, and HOW to fix challenging names. I'm really enjoying this course. Glad I signed up! There's such a lot to this modality. Thank you again! Did you know that your current name carries a fortunate OR challenging meaning? Every person on Earth uses a specific current name. After analyzing and supporting thousands of clients around the world, I have found that most people come to me with a name that adds up to a difficult number, attracting unnecessary challenges and stress, instead of an effortless life of joy. Your current name either injects positive reinforcements and support into your life - or attracts distracting, recurring obstacles. Or it just plain SLOWS DOWN the progress you COULD be making! You are born with beautiful natural gifts. These are imprinted in your astro-numerology birth blueprint – your spiritual DNA Code. Your current name ALSO emits a frequency, a “spiritual calling card”, which is either making it easy or not so easy for you to fulfill the promise in your birth code. This is why you want to make sure your current name resonates to a supportive and positive number. Fortunately, you can change your name, if it’s not fortunate! Anyone has the capacity to change their name. You can learn how to do this for yourself – and help others to a better life as well ! Are you interested in learning how to calculate anybody’s name – and make it fortunate? Do you want to help yourself and others to instantly live a more fulfilled, abundant, effortless life? Are you curious about manifesting greater wealth by using this secret knowledge to create highly fortunate business names – for websites, products, event names, book titles – that infuse positive energy into your career? Thank you so much Tania for a great Training Program! It is done so well and so easy to follow! I've enjoyed these modules very much. Very thorough and thoughtful presentation for members without any numerology knowledge. So… are you ready? Here is what you will learn! Discover why your current name carries the key to manifesting a joyous, successful life. Learn how to calculate individual names first and then the total name number using the powerful online current name calculator tool on our private membership page. Discover the First Golden Rule of Name calculation – the Double Digit Rule! Included: List of fortunate and challenging name numbers. Dive deeper into the sacred name creation process with the Second Golden Rule. Learn the guidelines for adding “Master Numbers”. Discover how to approach prefixes in last names (such as Mc, De, El and St.) Includes several case studies. Some people have a Birthday Code that demands special requirements. Learn the secret remedies for the “4 and 8 Special Birthday Rule”, which will amaze you once you recognize its powerful effect on people’s lives. This module alone will help so many of your friends, family and clients! Fortunate Name Numbers 10, 15 and 17 have their own unique guidelines. In the Fourth Golden Rule you will discover who should and should not use these fortunate name numbers. Also learn the important “Say, See and Sign” guidelines for AFTER a name is changed. Plus, what to do if someone has more than one current name – like a middle initial on credit cards that is not used in daily life. In Module 1 you received the list of fortunate, challenging and neutral name numbers. Now discover the 51 Definitions (compiled from my private and personal library) which detail the meaning of every name frequency. You will treasure the information in this module - and use it for a lifetime! In this final lesson discover how to calculate fortunate Business Names (websites, products, book titles, etc). Plus we’ll go through a FULL review of the 4 Golden Rules! Extensive case studies will be given throughout the course. By the end of the Secret Power of Your Name online training, you will be able to not only calculate any current name for a person or entity, but also offer professional-level readings to paying clients, if you choose to! Receive instant access to Module One as soon as you register for the course. I will deliver one new webinar every three days for six total videos. You’ll be able to access Module One of the training INSTANTLY after checkout. After you have watched and digested all six weeks of lessons for the Secret Power of Your Name online training program, you'll get access to a 90-minute Q&A Teleseminar Call where participants asked me any question about the course and I answered LIVE and in person! 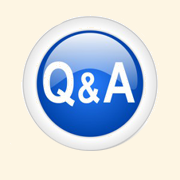 This Q&A Bonus Call was recorded and will be available to you after Module 6, with 24/7 access on the membership site. Discover what the number of syllables in each of your names says about you! Imagine instantly reading friends and strangers, without even knowing their birthday! A one-syllable name means something quite different than a name with two syllables. You will learn the meaning of each 1 through 9-syllable name (yes, they exist in some cultures! ), for a fascinating journey into a secret subject…“Secrets of Syllables” Bonus Webinar will be delivered with Webinar 6. If for ANY reason you don’t feel like the information I’ll reveal in the Secret Power of Your Name program is not worth the low price you paid, just send me an email in the following 6 days telling me – and I’ll refund your money right away ! If for ANY reason you don’t feel like the information I’ll reveal in the Secret Power of Your Name program is not worth the low price you paid, just send me an email in the following 15 days telling me – and I’ll refund your money right away! P.S. Remember, you receive private access to TWO “done-for-you” calculators (for names and birthdays) as soon as you register! P.P.S. 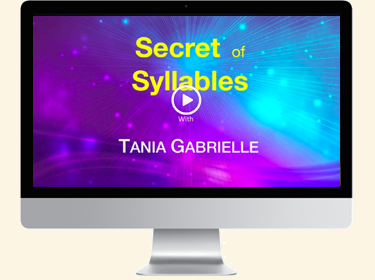 If you act now, you’ll also get access to the special bonus "Power of Syllables" webinar! Love the Webinar--just what I've been wanting--thank you. My experience has been very positive and the calculator works beautifully. It's very fast and a helpful confirmation to doing the figures myself. The examples you use for illustration are great and so is the pace of your delivery. You sound very natural and relaxed---easy to follow and enough time to take notes. While I was awaiting the answer to my questions, I went over the slides and actually found the answers, so I can testify that the slides are also helpful. This course is just what I've been wanting--and I appreciate that the price is reasonable. I have considered setting up a small website, perhaps now I will feel comfortable doing that.